Write your email in points so that the other person can respond to each one of them, this helps quick clarification and leaves no scope for the reader to miss out an important question / point. In-cases of timezone separated remote audiences, make sure you send all questions at the end of the day in an email so that u get answers by next day morning. 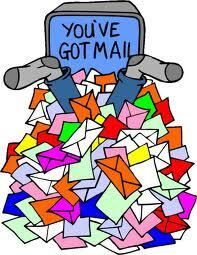 Make a habit to cc yourself in your own mails which you would like to follow-up on. This way your mail would appear in your inbox and you can apply the ‘follow up’ label on it. Word the subject aptly. For example, if you need someone to review your plan – you can prefix the subject with “Review Required”. If you need someone to take an action urgently – you may prefix the subject with “Urgent Action Required” etc. Use simple & short sentences so that it can be read & understood quickly. I have seen a lot of long paragraph emails. You should assume that the person who is going to read your email is not going to spend more than 15 seconds skimming through it. Use those 15 seconds judiciously. If you depend on your readers to reply to your email for a review or an action, set an ETA and communicate that in the email. Something as simple as “Your response is expected latest by 12th Jan(thursday)” would do. Use HTML formatting. – Colors, bold, italics. Bottom line – make it readable. The important bits need to jump out. Set an Out of office responder even if you are out for a day so that people know you are out and understand that there may be delay in your response to their emails. For emails for which you need time to think and respond – do respond quickly with the fact that you need time and you would get back in detail by ‘x’ date. This way, your sender knows that the email has your attention and you would get to it soon. Use filters / rules. Let less important “mailing-list” conversations go into separate folders. This way your inbox would carry the most important mails (addressed directly to you or cced to you) . I know folks who have set up folders for cc as well. Use a solid search tool for your emails. How much ever you organize your stuff, you still going to need a super fast search tool. You can use google desktop for outlook. or Xobni for outlook. I personally like using a web interface with a search built into UI itself. These are some of the things I do. Would love to get email mgmt tips / ideas from you. Please do share in the comments section. Also ‘never respond to an email when you are angry’. Calm down…and come back to it later. People end up saying things in email that they would never say in person…so it’s worse than speaking when angry. If there is more than 5 times back and forth over email…consider picking up the phone. Very pertinent points Rahul ! These are more soft aspects of email management and are great help indeed.